Pick up from Trivandrum Airport/Railway station proceeds to Kovalam located at 17 kms way. 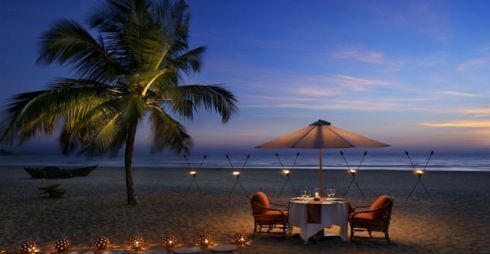 Upon arrival check in to hotel later you can enjoy the crescent-shaped beaches of Kovalam is divided into three parts. The southern most beach is called Lighthouse beach, the middle beach Hawa beach and the northern most beach is called Samudra beach. Vizhinjam Lighthouse at Lighthouse Beach offers superb views across to the Kovalam Jama Masjid. The lighthouse dominates the rocky promontory and is quite a captivating sight during moonlit nights. Later free time for Ayurveda massage of personal activities. Overnight at Hotel/Resort. After leisure breakfast spent your days at leisure especially during sunset. Laze on the golden sands and walk on it, to marvel at lush greenery all around. Visitors can experience the tremendous joy of surfing, swimming, skiing and kayaking in the vast azure water of Arabian sea which touches the golden sands of Kovalam. Hire the boat from fisherman and set out to catch colorful fishes. Also explore other magnificent buildings at the Kovalam beach that are architectural wonders. Kovalam Jama Masjid and the Ganapati Temple that are amongst them. Transfer to Trivandrum drop at Airport / Railway station for onward journey. · Best time to visit Kovalam is 365 days. · The first thing you should take care of is to assure that your health is suited for the outing. You should carry the needed medicines and a first aid box. If you have any medical prescriptions don’t forget to take it. Also before arriving at the place take proper vaccination. Though there are enough hospitals in Kovalam, you must not forget the above mentioned precautions. · The nearest airport or railway station is Thiruvananthapuram/Trivandrum located zaat an distance of 17 kms. · It is genuine not to carry huge amount of cash with you. Almost all hotels and restaurants here accept cards but you should have an adequate amount of cash with you for the local expenses. There are enough ATMs available throughout from which you can withdraw the needed amount. · People in Kerala maintain certain level of decency in dressing and opposite genders keep a comfortable distance between them and show a mutual respect. So, first of all dress in such a manner that your body is not exposed to the level that you invite unwanted weird attention. Expressing love by kissing or hugging in public should be avoided. Unlike in the western nations, smoking is banned in public place. However in almost all Hotels and resorts in Kovalam, you will be availed with a separate smoking cabin. · The main things to do in Kovalam other than Kovalam sightseeing include sunbath and adventure sports of different types. All adventure activities including boating should be enjoyed with care. The concerned instructors will provide you safety tips and the details regarding precautions you should take. The sea may sometimes become rough with strong undercurrents. In Kovalam beaches there are some life guards present who will alert you by blowing whistles if you cross the safe zone.